Bonus two for one post! Who say's there aren't enough Flappy Bird clones? 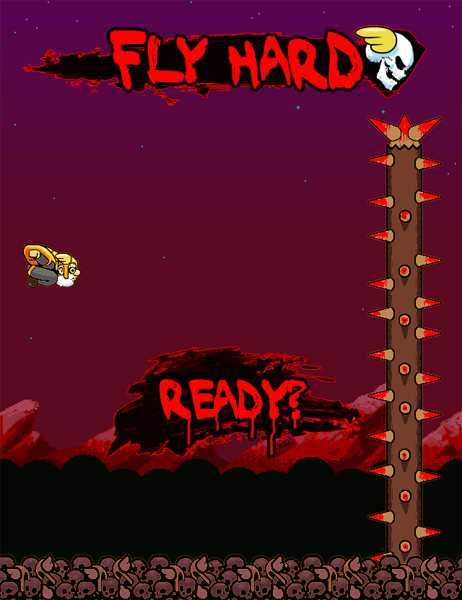 A buddy of mine wanted to get an app on the iTunes store so he asked for some art for a flappy bird type game. Keep your face away from the spikes...if you can!